“The Ulster Bank Construction Purchasing Managers’ Index, a benchmarked measure for assessing economic activity, recorded a surging rate of job creation in March. The exceptional growth in the construction sector in recent years has led to an ever-increasing demand for Architects, Architectural Technicians, Civil Engineers, Site Engineers, Quantity Surveyors, Project Managers, and all positions throughout the wider construction industry,” explains Mr Newell. 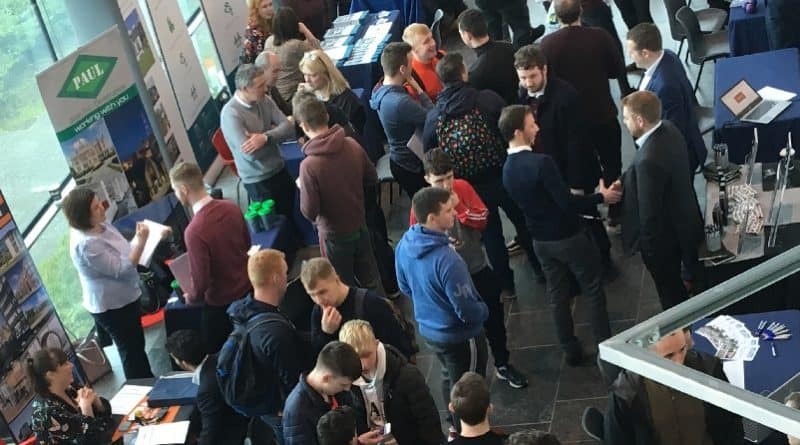 “The ‘Engineering 2019’ report published by Engineers Ireland last month stated that the supply of civil and building engineers must dramatically increase to meet country’s current and future needs. Almost all (94%) engineering employers surveyed however consider a shortage of experienced engineers to be a barrier to growth – and almost half expect this situation to get worse in 2019. Civil and building engineers are most in demand with 59% of organisations surveyed looking to hire engineers in this discipline,” adds Mr Newell.